Today, the most famous horse race in Britain is held, the Grand National, so I thought I would mark the occasion by taking a look at the history of horses in LEGO. Back in the very beginning, in the Castle theme, minifigure knights rode brick-built horses, as in the classic 375 Yellow Castle. 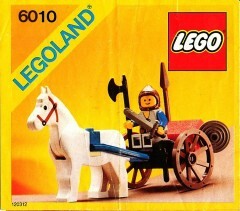 The first moulded LEGO horses originated in 1984, ridden by knights in sets such as 6080 King's Castle, or pulling villagers' carts (6010 Supply Wagon). This horse had an articulated head and a 1x2 slot for a saddle to be fitted, but which could also be filled with a 1x2 brick and tile. The horses had a printed bridle and eyes, and came in brown, white and black. 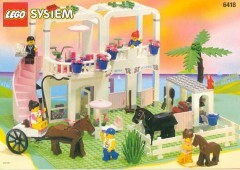 This moulded horse was the standard in System sets for many years to come, and was a main feature in the Paradisa sub-theme of Town as part of the Country Club range in sets 6418 and 6419. I had the latter set as a child and fondly remember acting out stories set around the stables! 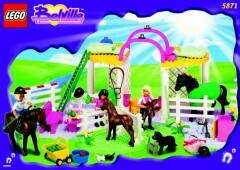 Horses seem to have a strong association with "girls" themes in LEGO sets. The Belville and Scala (e.g. 5871 and 3144) ranges also included riding as a key subject matter in numerous sets, though the horses in those sets were of course scaled to the larger dolls and are huge compared to the minifigure sized ones! In 2012, the Friends line also introduced a new moulded horse, with a 2x2 cutout for a different saddle adapted to accommodate the new mini-doll figure. These horses have no articulation at all but have a curvier design that is more true to life along with large expressive eyes. Set 3185 Summer Riding Camp included three of these new horses. Friends also led to a new foal mould as well, in set 41003. Later on, in 2015, this new Friends horse mould also gained wings and became a pegasus in the Elves sets 41077 and 41078. The pegasus is not the only unusual equine creature produced in LEGO either. Another is Woody's trusty steed Bullseye in set 7594; a very cartoony horse with movable front and rear legs. On the creepier side, a skeleton horse has been released in no less than three versions: white, glow in the dark and black; the latter representing a creepy Thestral from Harry Potter (5378). Back to our original moulded horse, this received more detailed prints in later years such as in the Western set 6746 and also more elaborate gear, such as printed barding and head covers (see 7188 and 10223, for example). 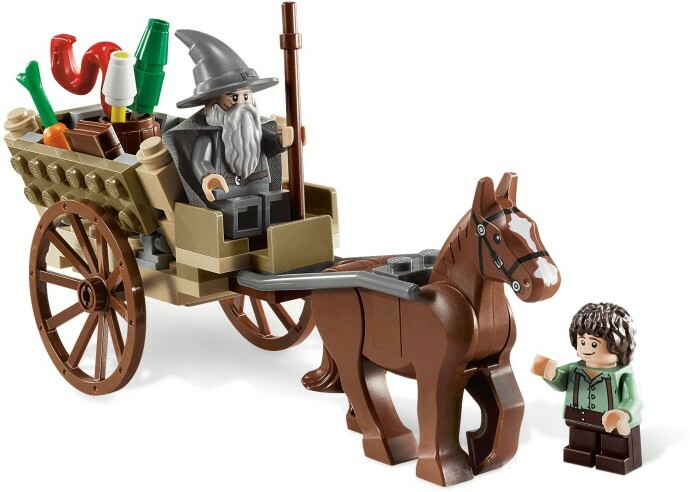 A major change finally occurred in 2012 in the Lord of the Rings sets (9469, 9472) with a brand new moulded horse which has articulated back legs, enabling more dynamic positioning of the horse, including in a rearing position which makes it much more versatile. A white version of this horse was also used for The Lone Ranger's faithful friend Silver (79106). So what's next for the humble horse? Well, maybe the mecha horse from Nexo Knights 70312 is the future? I would love to see a field of those ridden around Aintree! Whether you are a fan of horse racing or not, I hope you've enjoyed my little look at the history of LEGO horses. Let us know on the comments what's your favourite LEGO horse and if I have missed anything out! This is a great post! Very interesting. Nice article, seems complete...! My favourite Lego horse remains Askh from the Prince of Persia theme with all his elegant gold barding. Just a shame it was a few years shy of having articulated legs! I love these themed posts! Didn't know about all these horse varieties, and I'm surprised the new one's already been out for four years; I look forward to one turning up in a set I want to buy because they seem like a very nice compromise between improving the play functionality and remaining in keeping with the look of the old horses. Another reason I regret not getting into the fantasy era of Castle: skeleton horses! Fun article. Don't believe I own any Lego horses but you did refer to the Pegasus in the Elves line which I do own. I still have a horse with carapace from the Black Castle in the 90s and one of the headpieces from the dragon knights. Wish I hadn\t lost the majority of the pieces to that kit. I remember a reason why I wanted the 6085 is because of the Horses, I was almost disapointed that I did not find in the toy store when I wanted to get it for my birthday and was so close to pick one of the forestmen set that has a horse until I found it on the top of the shelf. THE LAST PIECE. I also got the 7569: Desert Attack that included the old mold with printing on both sides and then finally I got myself the 70800: Getaway Glider just for the sake of the New mold, I was showing it to my brother he still prefers the old one. I kinda like the new mold but sometimes it is hard to pose it. I've never had one of the first knights sets, but in my memory those brick built horses also appeared in other sets or maybe instructions or books by Lego. I've built quite a few of them when I was a kid. And they actually don't look too bad and out of shape, either! Of the first knights sets with molded horses I've had lots. The smaller sets, to be fair, with the amount of lego I had and the fact that at that time I was more the age for serious sets (i.e. Technic), my parents didn't want to splash out on the bigger, more expensive sets of the range. But I remember having lots of the molded horses in all colors. I have no horses of the new mold (and no Friends ones either) and I'm not quite sure I like them all that much. They're very realistic, but it's.. a bit too easy for my liking. I know they aren't horses, but I'd consider the camels from Prince of Persia alongside these. Those were a fun departure from the norm. I suppose if you go there, you also need to include other rideable beasts such as the Wargs from The Hobbit series and the elephants from Adventurers. One significant horse that I think could be mentioned would be the old style grey printed horse in 7189. We finally got a grey horse just before they totally replaced the mold. Thanks for the article. I really like the brown foal off of 6404 Carriage Ride and 6415 Country Club. 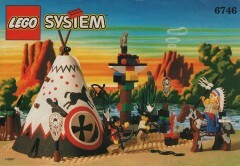 The old Lego horse introduced in 1984 to me still remains one of THE classic Lego elements. But I also like the new one from 2012 and I believe that LotR was just the right thing to have the new one replace the other. How about the return to brick built horses for 10196 Grand Carousel, and then the switch to ornate moulded horses for the carousel in 10235 Winter Village Market. There's also 41559 Paladum from Mixels, one of the few fully brick-built horses (er, Pegasus) I've seen so far. Nice, this is cool to see lego horses throughout the years. This makes me want to dig out my ornately printed and well attired early 00s horses for both sides of the Kingdom! I've always loved the 'horse drapes' and head elements to make them look more heavily armoured. Even the newest mould is still great though with that dynamic pose! Where are the skeleton horses from the older Kingdoms line? Very nice article! One very minor omission (it is pictured but not mentioned) is the little foal that came in some of the Paradisa sets. This was one of my favorite horses growing up, probably because I only had one of them, and it was just perfect for acting out scenes where the young boy would grow up with the young foal, or having a horse family to go along with my minifigure family. Then there are the Star Wars "horses" like the dewback, ton-ton, and those things the Gungans rode on in Ep I. Any others? Do those count? I think it should also be mentioned that there was a pony included in a couple of Paradisa sets (6418 Country Club and 6404 Carriage Ride). They never used it anywhere else! Another important event in Lego horse history was the grey horse in 7189 Mill Village Raid! 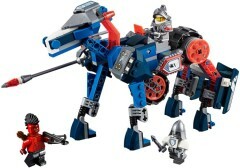 ...those new Nexo Knight Hover Horses and Duplo's gotta' horse. I was disappointed when I found out that the older barding wasn't compatible with the newer horses with articulated legs, I was hoping to upgrade some to upgrade the horses in my older Castle theme. Neat article though. What about a history of boat hulls? Or pirate ship sails? ^ the old bardings do fit on the new horses, but they lose their posability if that's what you mean? The headgear is not transferable however due to the different shape of the head. I always wanted more horses growing up, particularly a plain brown one. Lord of the Rings was very fulfilling for me. At first I thought it was weird that the new brown horse had a white mark on its forehead, but all the real brown horses I've seen since have them too, so I realise it's a good detail. Yeah sorry, it's the headgear I was thinking of. 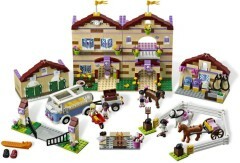 Those brick-built horses go back to the 70s 'hands-in-pockets' minifigs and a cowboy theme. There was a stagecoach with two black horses, and another smaller set with two cowboys, one sat on a fence. There's a SNOT technique of wedging a plate end-on between studs. It's known as 'pony ears' after the way a 1x2 plate is used for the ears. Also, look out for the instructions for my brick-built Shire Horses in 'The LEGO Adventure Book 3'. Much more important to me than the Grand National... Paris-Roubaix is on today! idk why but I always liked the original molded horses; they lasted quite a long time! For my horses from 2012, the molds are incredibly stiff when I try to move the head or rear legs. Also, it feels like I am breaking them. Does anyone else have this problem with theirs? Fun and interesting article about the evolution of the LEGO horse. IIRC, the only set I have with a horse is 7635, but that purchase was made because I liked the SUVs. Great article! Loved it, and hope there's more like this! the lego friends and elves horses are the best models, better shaped and they saddles on them are in better colours. 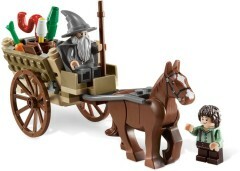 I have got a good few horses in my collection including the the old castle and the articulated horse in Gandalf's cart. I've even got the elephant from the Adventurers theme and a skeleton horse! I love the new articulated horses, they just need more colors of them!